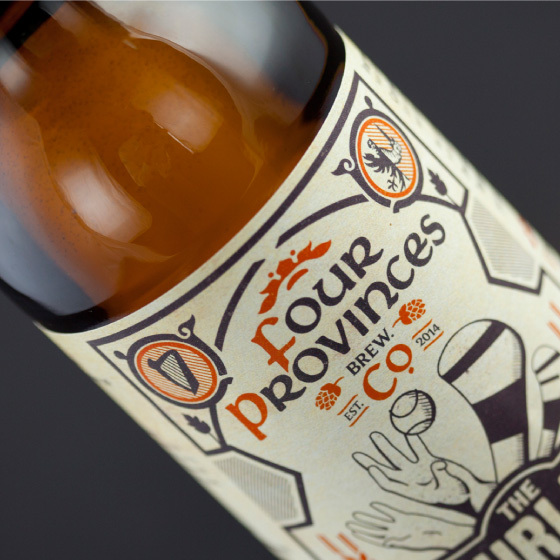 The Hurler, Four Provinces Brew Co. 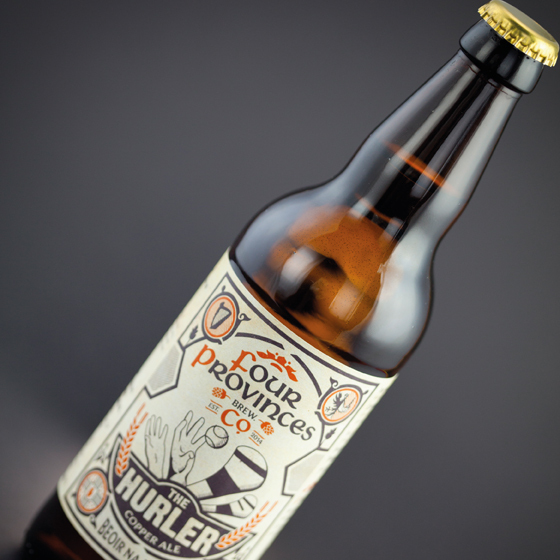 The Hurler Copper Ale is the first beer from Four Provinces Brew Co. Drawing inspiration from the history, heritage, culture and people of Ireland, their aim is to produce distinctly Irish craft beer. We created a look and feel that marries subtly celtic inspired typography and heraldic imagery with the vellum textures of illuminated manuscripts such as the Book of Kells. 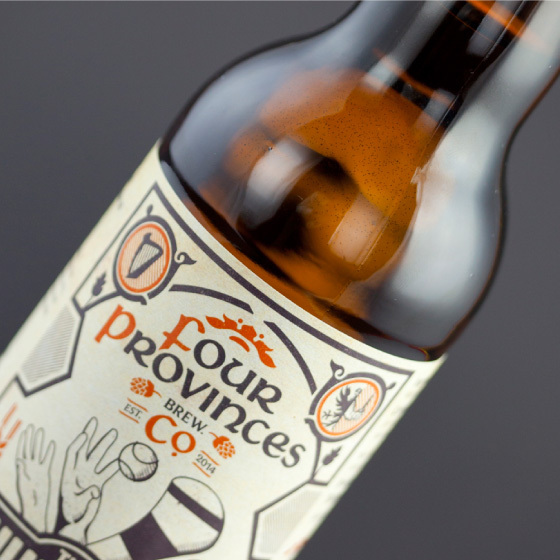 The duo behind Four Provinces is very proud of their beers, and enjoy every aspect of their creation, promotion and consumption so we took inspiration for their beer branding design from their boundless enthusiasm and sociable dispositions, to define the tone of voice of all communications. The initial launch of 30L Keykegs was soon followed by 500ml bottles, and supported by a suite of promotional wares from tap heads to beer mats. Watch this space for several new beers coming soon from Four Provinces.